The Strength and Conditioning Program's philosophy centers on creating an atmosphere that allows each student-athlete to maximize their potential and achieve the highest level of athletic development possible while learning skills and values that will help them maintain a healthy lifestyle in the future. 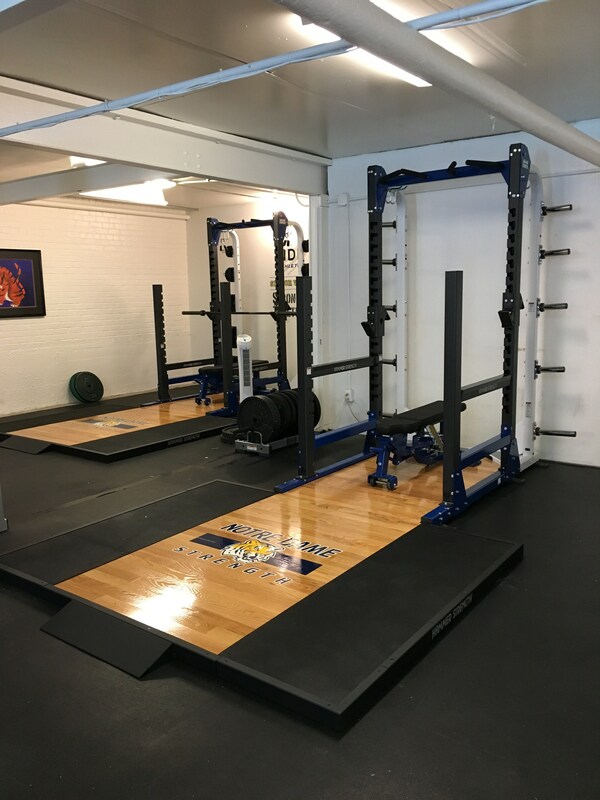 The head strength and conditioning coach works closely with the coaching staffs of each sport as well as the athletic trainer to develop a program appropriate for the athletes participating in that sport. Provide a safe, competitive, energetic and positive training environment. Decrease chances of injury through proper warm up, conditioning and exercises that ensure muscle balance and flexibility. Enhance balance and stability through functional training using sport specific exercises. Educate athletes in proper training techniques and weight room protocols. Instill an appreciation of hard work and commitment in NDB athletes. Coach Kate has been at NDB since 2012 as our Physical Education instructor and Head Strength & Conditioning Coach. She previously coached JV water polo and JV swim and currently coaches JV basketball. Coach Kate grew up in Oakland, attending Bishop O'Dowd High School, where she was a three-sport athlete (water polo, basketball, swimming). She went on to attain her BA in Exercise Science from John Carroll University in Ohio, where she was a member of the women's basketball team, and earned her MA in Kinesiology, emphasis in Sport Psychology, from San Jose State University. Previously, Coach Kate worked at Sacred Heart Prep High School in Atherton, first as strength & conditioning intern then later as the Assistant Strength & Conditioning Coach. She also worked at Santa Clara University as strength & conditioning intern for the men’s and women’s basketball teams.